When considering many of the classic grape varieties and styles of European wines, French grapes are the standard against which all others are compared. 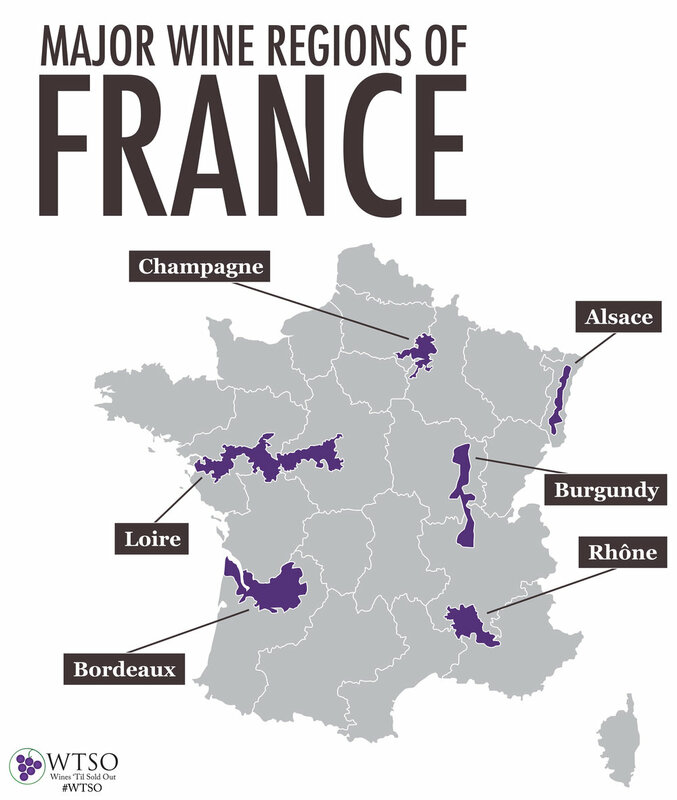 The identities of both large and small regions are tied to specific grapes, and the the country’s Appellation Contrôlée system was designed to protect the reputations of specific geographical areas, by regulating the production of agriculture – including wine. The Institut National de l’Origine et de la Qualité, or INAO, is the organization that controls this system. Here are some of the major wine regions, along with their most abundant grape varieties. 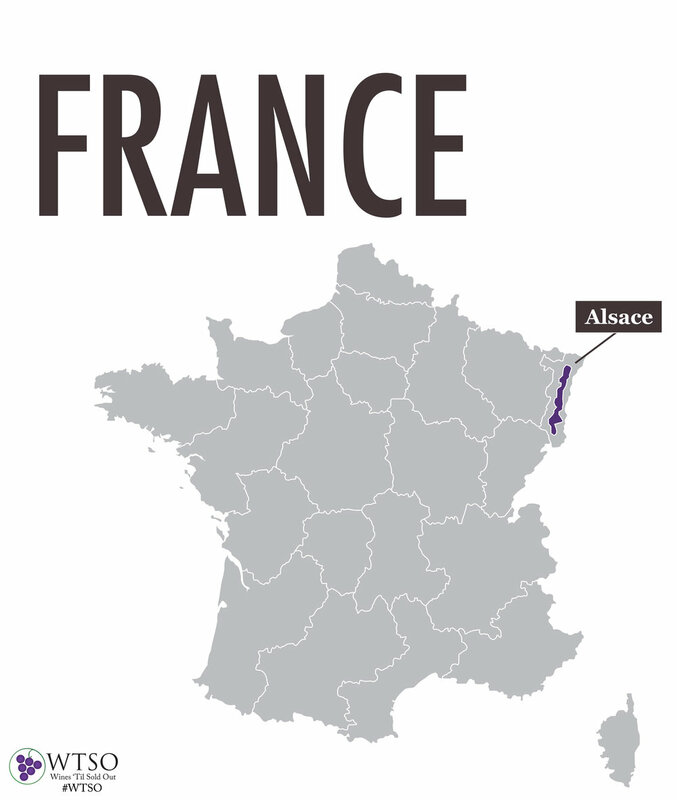 Alsace – Straddling the German border to the east of Champagne, Alsace has been claimed and reclaimed by both France and Germany throughout history, but remains a French region today. The most prominent grape varieties grown in Alsace are white, including Riesling, Gewürztraminer, Pinot Gris, and Muscat. Wines can be made in dry, off-dry, or sweet styles, and often display pronounced aromas and spicy flavors. 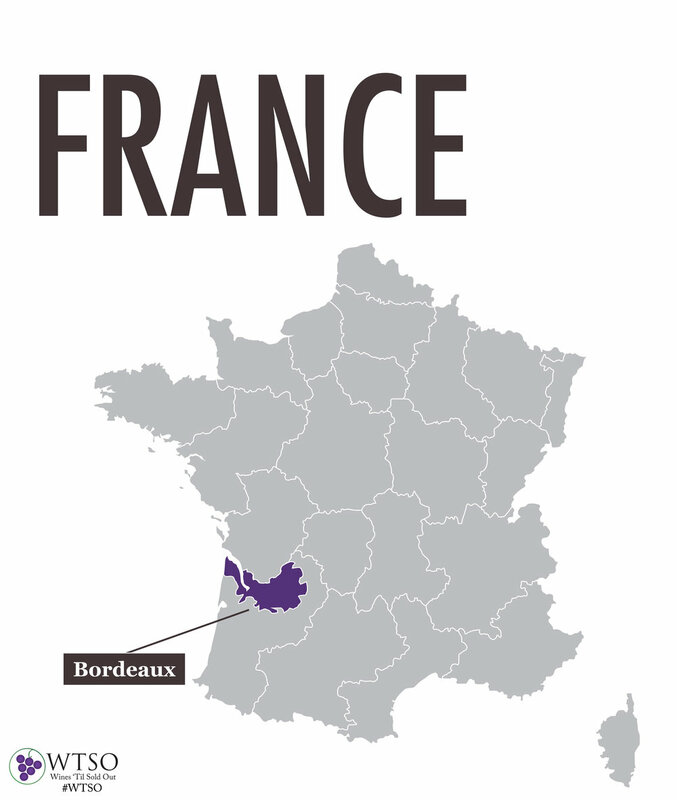 Bordeaux – Located in southwestern France, Bordeaux is the home of Cabernet Sauvignon and Merlot. The “Left Bank” includes the famous appellations of Margaux and Pauillac, where prominent châteaus like Lafite-Rothschild produce age-worthy Cabernet Sauvignon blends with premium prices. The “Right Bank” encompasses the Merlot-dominant appellations of Saint-Émilion and Pomerol, whose finest wines can be cellared for many years. 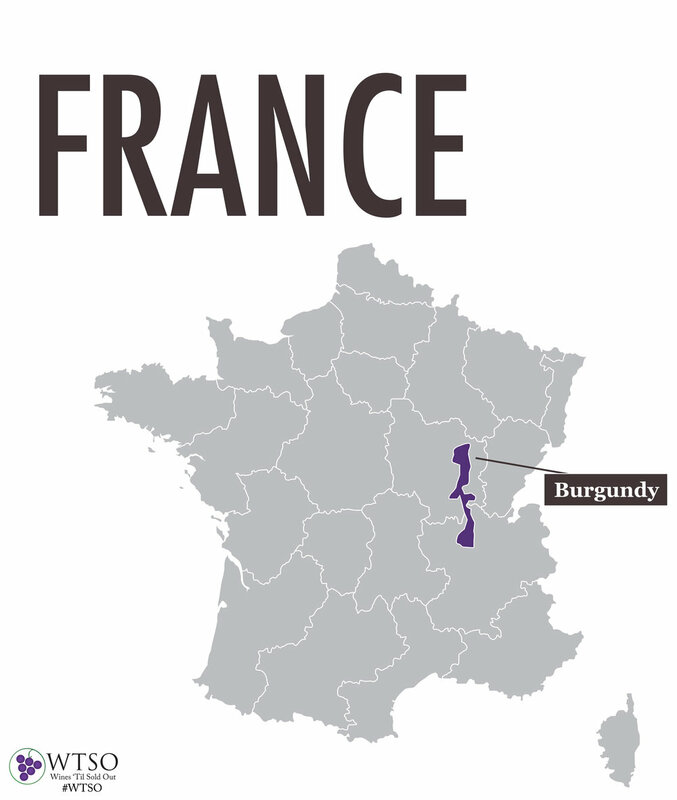 Burgundy – Located north of Rhône, Burgundy is known for two grapes: Pinot Noir and Chardonnay. Burgundian winemakers believe that their wines express the plots of land from which they come, and the best examples command some of the most premium prices in the world. All wine appellations in Burgundy can be categorized within one of four levels: Regional, Village, Premier Cru, or Grand Cru. 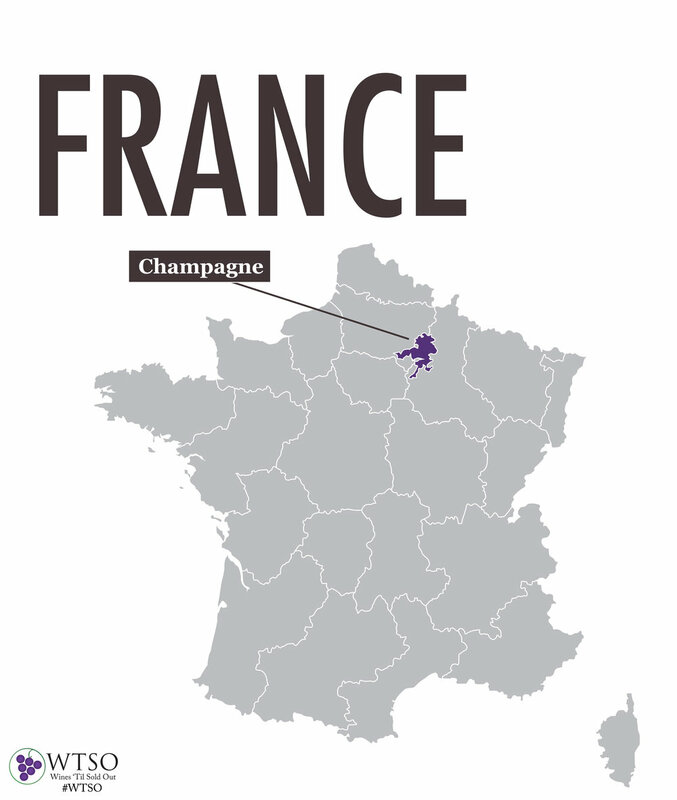 Champagne – The greatest sparkling wines in the world come from the Champagne region of France. There are 3 main grapes used here: Chardonnay, Pinot Noir, and Pinot Meunier. Since the weather in Champagne can vary significantly from year to year, most producers make a Non-Vintage (NV) wine that consistently reflects their “house style,” by blending grapes from multiple years. However, Vintage Champagnes are also produced from the very best single years. Luxury bottlings like Dom Pérignon and Louis Roederer’s Cristal are vintage Champagnes. 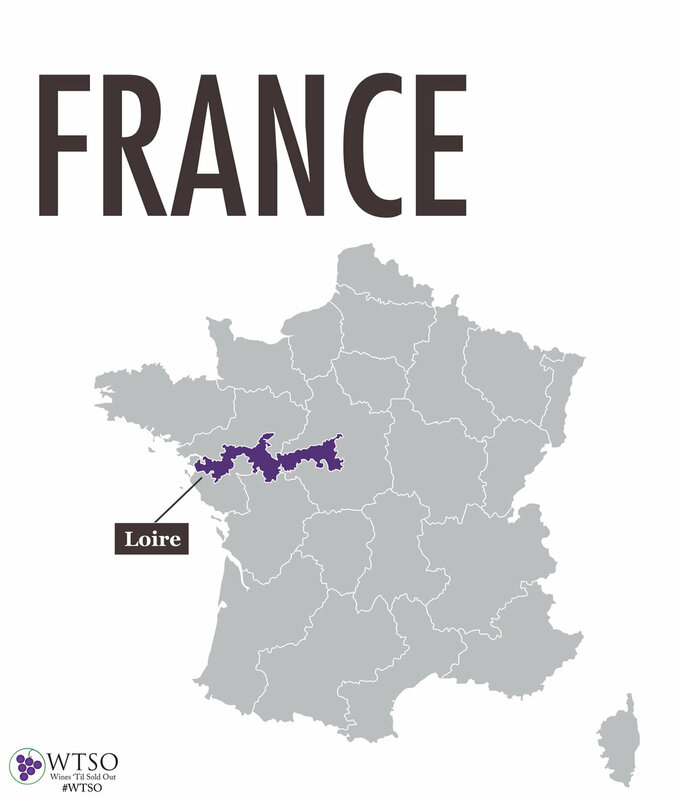 Loire – Beginning on the northwest Atlantic coast of France and traveling eastward, the Loire region is best known for white wines produced from Chenin Blanc and Sauvignon Blanc grapes. The Chenin Blanc wines of the Vouvray appellation may come in a range of styles, from dry to richly sweet. White wines from the neighboring appellations of Sancerre and Pouilly-Fumé are made of Sauvignon Blanc grapes. They are usually crisp and bright in style, with fresh citrus, herbal, and mineral characteristics. Rhône – Syrah and Grenache are the two most prominent grapes found in France’s southeastern Rhône region. Domaines in northern Rhône produce red wines from Syrah, though a small portion of white grapes may be used in certain appellations. The southern part of the region utilizes Grenache, often in blends with other red grapes. This area is also contains the highly-regarded Châteauneuf-du-Pape appellation. The wines of France offer a versatile selection of styles within all price ranges. The special history, traditions, customs, and cuisines found throughout the country add to the enjoyment of these wines, making them some of most popular and collectible in the world. Aaron Wolf has worked in the New Jersey wine industry since 2011, but his passion for food and wine began many years before with a rare bottle of 2004 Château Rayas Châteauneuf-du-Pape Réservé Blanc. Aaron joined the WTSO Product Development Team as a Wine Researcher in November of 2014. He recently obtained the Wine & Spirits Education Trust Advanced Level 3 Award, and looks forward to further pursuing his wine studies.